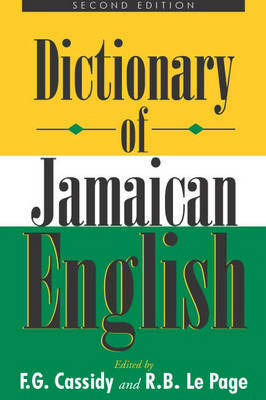 The method and plan of this dictionary of Jamaican English are basically the same as those of the "Oxford English Dictionary", but oral sources have been extensively tapped in addition to detailed coverage of literature published in or about Jamaica since 1655. It contains information about the Caribbean and its dialects, and about Creole languages and general linguistic processes. Entries give the pronounciation, part-of-speach and usage of labels, spelling variants, etymologies and dated citations, as well as definitions. Systematic indexing indicates the extent to which the lexis is shared with other Caribbean countries.